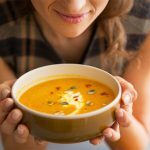 The Hallelujah diet: what is it? 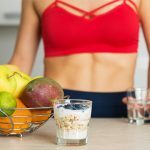 People often eat low carbs, keto, gluten-free, and fat-free diet to reduce weight in no time; but, they usually are unaware of the adverse effects of it. These fad diets they often lead to various nutrition deficiencies. To address this issue of nutrient deficiencies, Hallelujah Diet is a safe plant-based diet that has been proven to meet the recommended nutrient needs of the body required for its proper physiological functioning that not only detoxify your body but also improves your overall health. Hallelujah diet improves your health status in a way by showing you how to consume safe and nutritious food as told in the Bible. Along with this diet, certain lifestyle changes should be made to be successful in fulfilling your needs. It pairs religion with weight loss; you can look up to the sky and thank God for a large variety of natural foods the God provides us with. 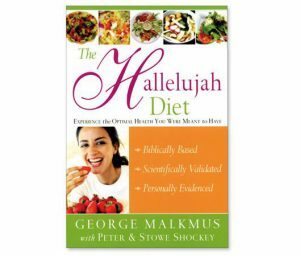 Pastor George M. Malkmus introduced this diet based on his beliefs that Hallelujah diet is the diet that God wanted us to eat in the Garden of Eden. The diet consists of God’s natural foods that have sufficient amount of nutrients for nourishing our body and cells; and also, it provides our system with enough energy. Hallelujah diet book is about the diet responsible for dramatically changing your life. This book is based on the Biblical foundation and a lot of time spent in studies and statistics. The basics include consuming plant-based foods not only rich in all types of nutrients but also helpful in reducing toxins from your body hence improving the quality of life. Consumption of 85% raw foods and the remaining 15% cooked foods. The later should be consumed at dinner time. Skipping breakfast and have only barley grass drinks and fresh vegetable juices. Options for those beginning to follow Hallelujah diet should include foods such as almond milk, fresh fruit salads, sprouted grain toast with almond butter and whole grain granola bar. Strict prohibition of eggs, meat, fish, milk products, tea, coffee, alcohol, canned fruits and vegetables, roasted or salted nuts and salt and pepper. Olive oil, flaxseed oil, and avocado. Limit fruits to no more than 15 % of the total intake per day. Raw nuts, seeds, nut butter. Cooked beans such as kidney beans, lima or pinto beans, etc. Cheese made from soymilk, rice milk, a limited quantity of organic butter and mayonnaise. Steamed or baked potato and sweet potato. Breakfast for adults usually includes Barley Max (a dehydrated barley powder) or vegetable juices. 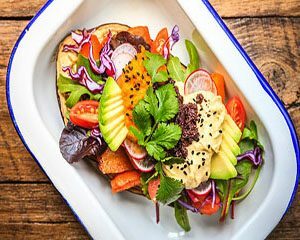 Mix fresh vegetables or fruit salads can be included in the lunch with a little heavy supper of some cooked food such as baked potato or sweet potato. The primary goal is to achieve the recommended portion i.e. 85% of raw foods and 15% of cooked meals. Include fresh juices in place of coffee or tea in the mid-morning or evening snacks because juices are an important part of Hallelujah diet. The most important ingredient in the Hallelujah diet is raw vegetable juices, as the nutrients directly reach cellular without being digested. When socializing by visiting someone as a guest for the dinner or lunch, you can tell them to prepare a fresh vegetable salad or baked potato or pasta so that you can have something to eat with them. Whereas when dining out, you can opt for salads instead of eating anything from animal sources. Many restaurants have salads or pasta in their menu; you can go for one of those! Take a break! Imagine what would be the health benefits of this diet on you and your family. Create your recipes with the colorful yet nutritious vegetables gifted by God. You can enhance the taste of your dishes by adding little Italian seasoning. Hallelujah dietary supplements are plant-based natural supplements all made to boost your immunity. These often provide with protein options for those with an active lifestyle. 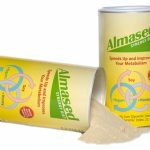 These supplements are made to cover the mental and GI tract health as well as for the maintenance of pregnant women. Some of these supplements include BarleyMax, Carrot juice Max, and Beet Max juice, etc. Add all the ingredients in the blender jug and blend them. Blend in the ingredients until smooth and slightly thick. Add the noodles and veggies and pour the sauce over and toss. Sprinkle sesame seeds and green onions. Serve it on a classy platter and enjoy! Add one small spoon of olive oil and heat it. Add onion and garlic, sauté for 2 minutes. Add barley and cook for 1 minute. Add a little water and bring it to boil. Reduce the heat and allow it to simmer for 30 minutes. Add zucchini, tomatoes, salt and black pepper and cover and cook for five more minutes. Serve with the addition of soymilk cheese and chopped parsley. Remove the skin of almonds by soaking them in ¼ cup of hot water. Once almonds are peeled, cut them into four pieces each. Cut walnuts into small pieces. Cut pineapple into small chunks. Chop the lettuce into small pieces. Combine white beans, red beans, salt, black pepper and lemon juice in a bowl and toss to mix. Now add in the pineapple chunks and chopped lettuce. Now sprinkle the bean mixture with almonds and walnuts. Nut bean salad is ready to be served. Boil water in a pot with the addition of a little salt. Add the penne pasta and cook it according to the time mentioned on the package. While doing this, heat a little olive oil and organic butter in a pan, until the butter melts and the oil begin to simmer. Add chopped garlic and onion and sauté for about 2 minutes. Add the chopped broccoli to the boiling pasta water during the last 2 minutes of cooking. Drain it, saving ¼ cup of pasta water. Add the drained pasta, broccoli and saved water to the pan. Stir and add some soymilk cheese and season it with a little salt and pepper, to taste. Serve it hot and enjoy. Heat skillet over a medium heat and butter one slice of bread. Placed butter down side of the bread on to the skillet and add a little cheese, cucumber and tomato slices and a lettuce leave. Butter the second slice of bread then place it on the top of sandwich and then grill it until slightly browned and flip it until the cheese melts. Repeat it with the other 2 slices. Add all the ingredients in a food processor and process until smooth. The juice turns out to be delicious as sourness from the lemon and sweetness from the beet is hidden by the intense flavor of cabbage. Beets are rich in antioxidants. They are great for juice and salads. Pass all the vegetables through a juice extractor. Serve it in a classy looking glass. Here what you need to know about this special type of diets. As this diet is low in fat, it can help reduce the levels of cholesterol in the blood. Makes aware of the processed foods in the diet. It improves the health status of people. It is simple and no need for apps like the fodmap diet app. 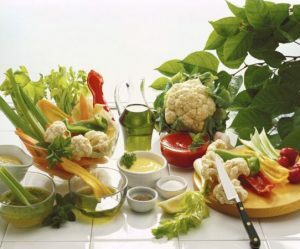 Increasing the consumption of vegetables will provide your body with necessary amounts of fibers and antioxidants and helps in reducing the risk of cardiovascular disease. It requires creating fewer dishes, less mess and is less costly. You can always check other diets like the Dr. Kellyann’s bone broth diet. It provides an anti-aging effect. This is also the case of the Macro diet for weight loss. It strengthens your immune system. Remember, this is not a recovery diet. By combing plant-based foods with supplements, the Hallelujah diet can provide an increased amount of nutrients meeting the recommended RDA of nutrients. You will not need any weight loss pills like the Raspberry ketone diet. Most people get bored from the eating style of this meal plan. There are no scientific nutritional explanations. This way, it could be similar to the Gerson diet reviews. It sometimes leads to problems such as loss of muscle tone, depression, premature aging, food cravings, and aversions, etc. Being deficient in high biological protein, i.e., obtained from meat, eggs, fish, etc., this diet can fall short in protein for those who are physically active as well as those with chronic illnesses. 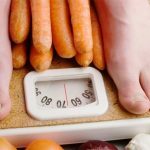 If you are looking for a healthy weight loss, this diet would not be appropriate. It is always recommended to follow a balanced diet menu. A healthy approach to weight loss is to consume foods rich in nutrients rather than calorie dense foods by choosing foods from all five food groups that are fruits, vegetables, meat, dairy and fats, and oils. There are several diets that can lead to diet dangers to our body; one has to be very careful. If you decide to follow a certain diet like the high cholesterol diet plan, you may look into investing in a good cookbook. 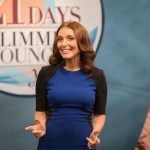 Whether you believe of the Hallelujah diet as the pillar of the Bible or not, the diet is undoubtedly clean, free from saturated fat and cholesterol, with no use of processed foods and provides numerous health benefits including detoxifying the body, maintaining blood sugar and cholesterol levels and anti-aging effect, etc. 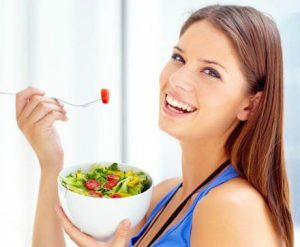 If you are a vegetarian, this diet can easily be adapted by you without any efforts to put in by you! But if you like consuming foods from animal origin then be ready for a comprehensive change in your eating style and that too for your health benefit. If you are a person who likes to follow celebrities’ weight loss regimen, you can take a look at the Jennifer Aniston diet menu.